Prefabricated huts and brick-built garage, in poor state of repair. Plans have been approved for the construction of a new roadway cutting across the station yard making it necessary to consider the construction of a new station. A new drill tower was erected at the station on Park Avenue enabling the crews to train to new standards ahead of the proposed move to new facilities. 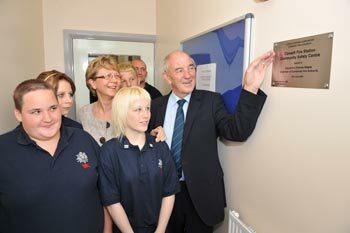 The first stage of the new fire station at Delves Lane was completed. 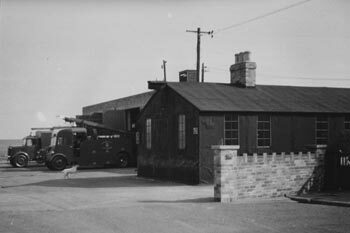 Completion of the station at Delves Lane with the official opening occurring on 26th March 1961. The new fire station at Villa Real was officially opened by County Councilor J.D. Robson , C.BE., D.L. 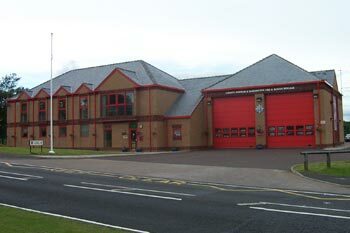 It provided a two bay appliance garage, accommodation and training tower. 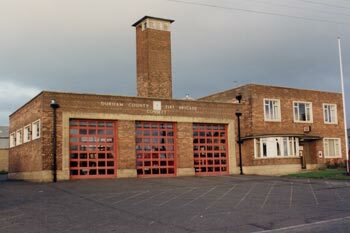 An extension housing the Community Safety Centre was opened in 2008 by the then Chairman of the Combined Fire Authority Councillor Charles Magee on the 25th June 2008.